Next on The Scoop: Why Do Cats Rub Their Faces on You? 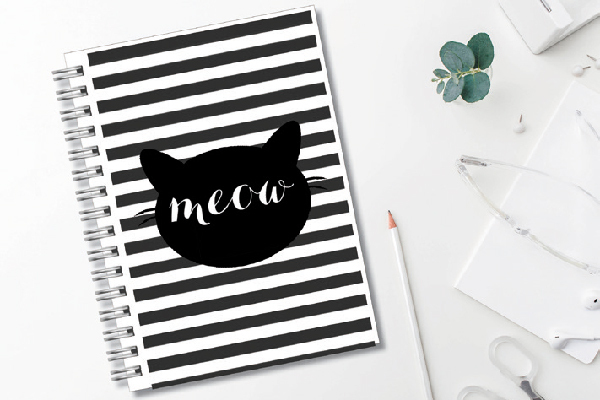 Show your love of cats in your everyday life with cat decor for your office, home and on the go. 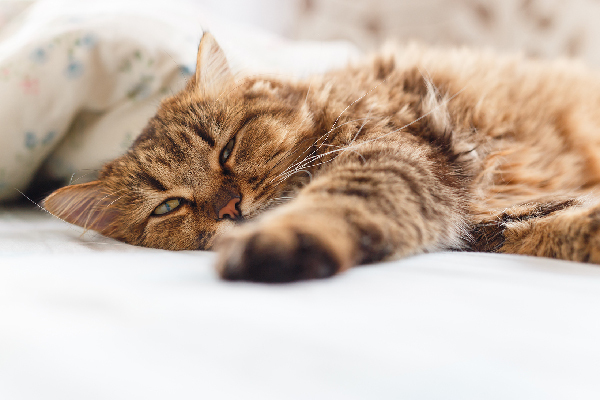 With cats being as cool as they are, there’s no reason you can’t show your love for the feline form every chance you get. 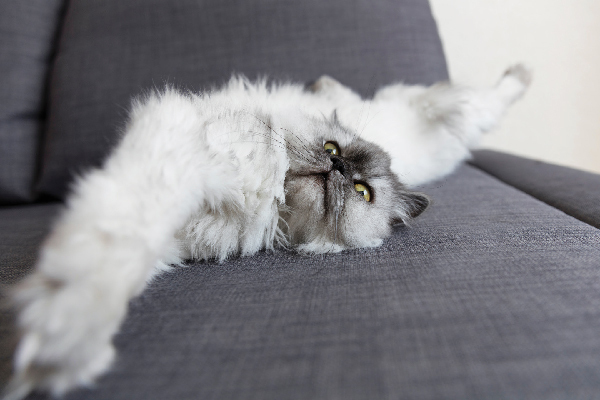 You don’t have to go overboard with cat decor — subtlety is the key. 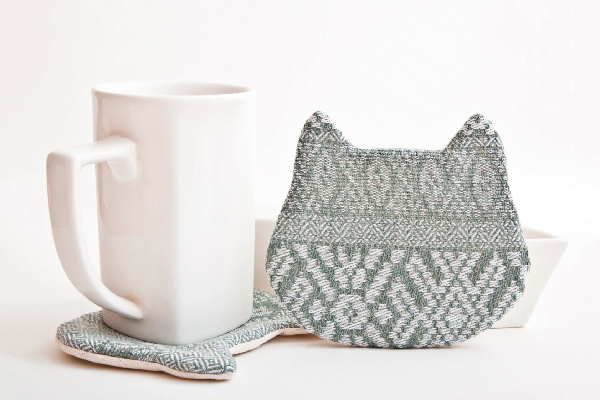 But with so many beautifully designed everyday objects for cat lovers now available, it’s easy to add a little cattitude to your world. Keep track of your to-do list with this fun notebook. Get it at typologiepaperco.etsy.com. 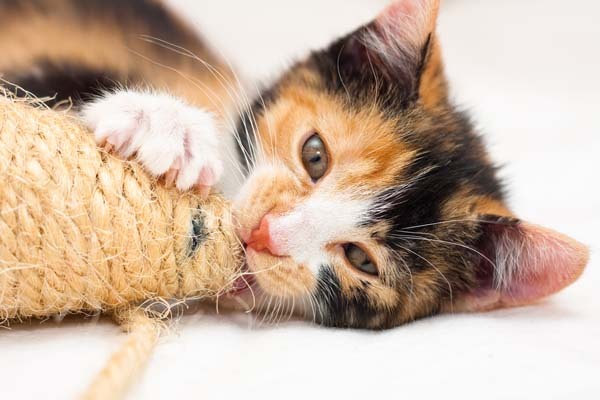 Since you probably don’t have your cats with you at the office, get some small reminders of your furry friends. Ditch those boring yellow No. 2 pencils for these pretty alternatives available at animalovecie.etsy.com. 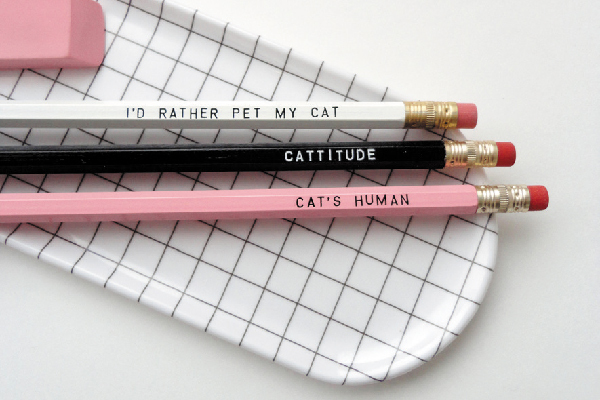 Keep in mind, your workspace doesn’t have to scream crazy cat lady — try a few designer items like these that show off your sense of style as well as your love of cats. Snag these sweet and subtle fabric coasters at juliawine.etsy.com. Everyday items add joy to your home environment while celebrating our favorite companions. 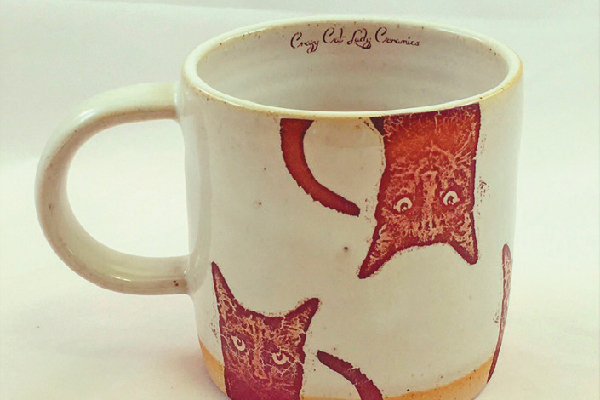 Head over to crazycatladyceramics.com for one of these work-of-art mugs. 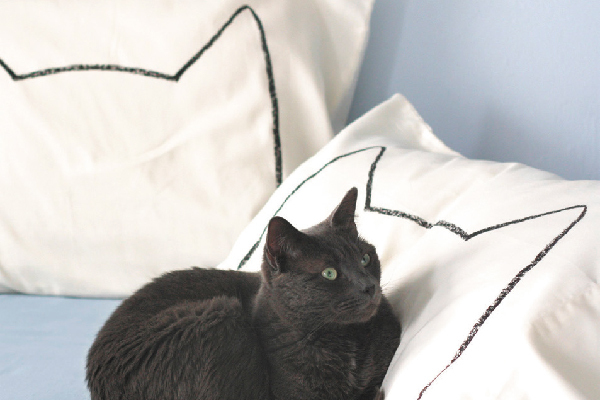 Little touches of kitty-themed décor like these will make you smile as you go about your day. 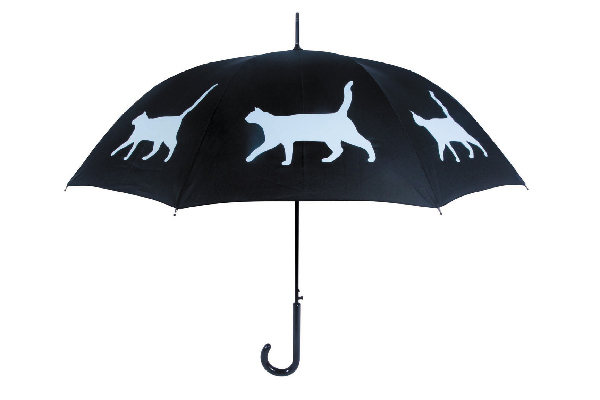 Brighten up a rainy day with this umbrella from sfumbrella.com. 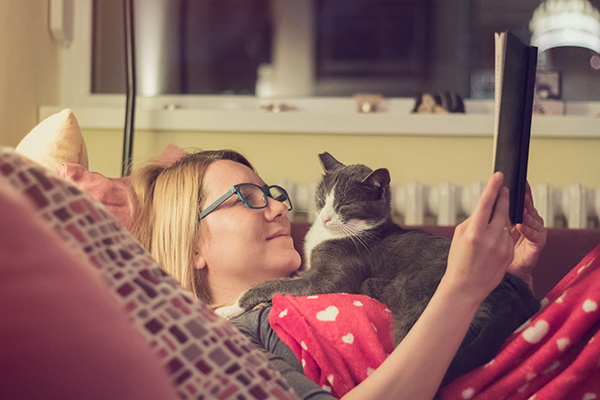 Show your love for the feline form when you’re out and about. Grab this feline fashionista accessory at triple-t-studios.com. 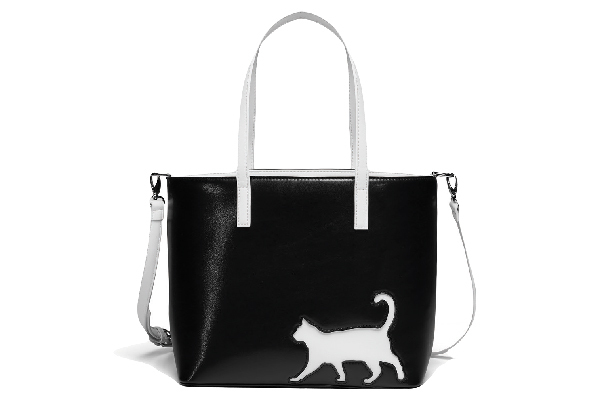 Black-and-white accessories with simple cat silhouettes make just the right fashion statement without going overboard. 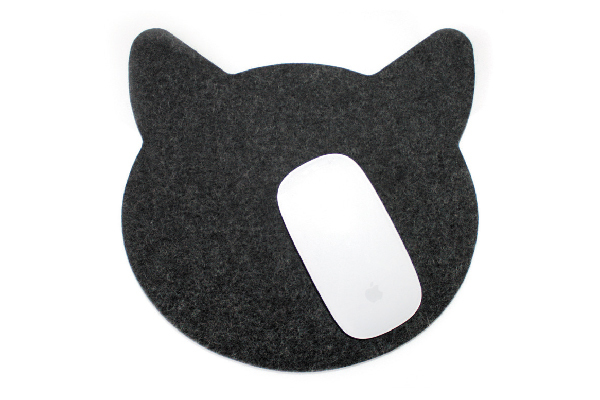 Find this simple and sophisticated mouse pad at feltplanet.etsy.com. Keep it simple! Choose a few key items that you really love. Don’t overdo it. Pick a palette and stick with it. Too many colors can be chaotic, so choose your hues carefully. And remember — basic black is always a stylish and sophisticated choice. And my own personal rule: Never combine more than one animal print — use them sparingly. Thumbnail: These adorable pillowcases are just a dream away at xenotees.com. The gray cat at top on the pillow looks exactly like my Binky. If he wants cat decor he can get it himself. He owns the place. Is there a way to change the picture next to my name?